Genesis Publications are delighted to announce a signed limited edition book by Mick Fleetwood: legendary drummer, bandleader and founding member of one of the greatest rock groups of all time: Fleetwood Mac. Love that Burns – A Chronicle of Fleetwood Mac is Mick Fleetwood’s account of the early blues era of Fleetwood Mac and the musical legacy of the uniquely talented Peter Green. In 1967 Fleetwood Mac debuted at the Windsor Blues and Jazz Festival. 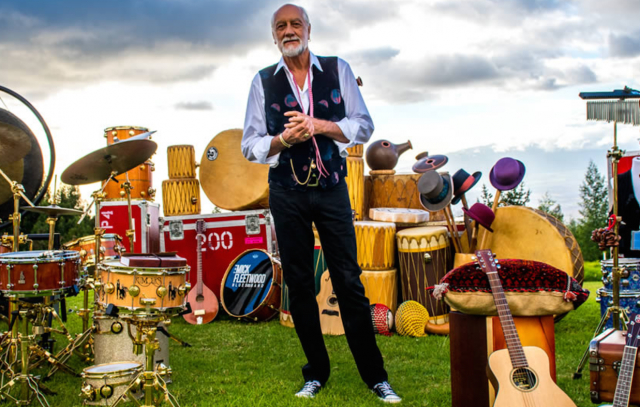 Now, 50 years later, founding member Mick Fleetwood documents the dramatic history of a band that emerged from what is today referred to as the British Blues Boom. Mick Fleetwood’s official limited edition autobiography contains over 400 rare images, features text commentaries by John Mayall, Mike Vernon, Peter Green, John McVie, Jenny Boyd and Sandra (Vigon) Elsdon and is narrated with an original manuscript of more than 18,000 words. Love That Burns contains original manuscript from Mick Fleetwood recounting his childhood, early bands, Fleetwood Mac’s debut performance, first international tours, live gig antics, playing with Blues Legends at Chess Studios, his friendship with the legendary Peter Green and the many talented members that formed Fleetwood Mac in the years before 1975.